This article introduce some model for steel rule blade bender, blade bending machine. The first steel rule bender model is for dovetail at one side, the blade bending machine can easily adjust bending of steel rules. The right side steel rule bender is dovetails at both sides,which can interchangeable to male or female dies. This steel rule blade bender cutter for cutting with less power and the steel rule blade bender’s cutting edge does not become distorting. 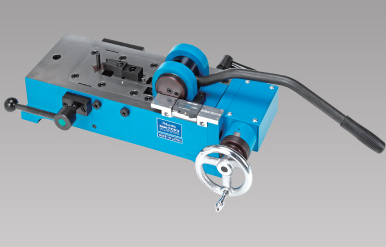 The blade bending machine for cutting to 40h. This steel rule bender having more power than other steel rule benders. 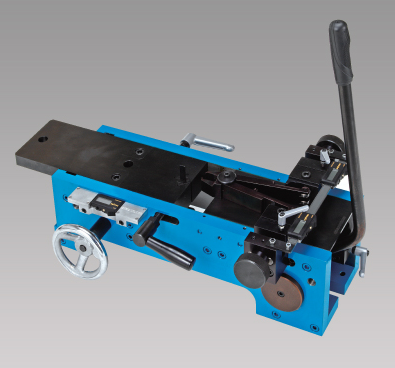 This blade bending machine is easy to process thick or wide steel rules. This model which is evolved from steel rule bender model DG, can bend steel rule into various shapes such as U-forms, Double-wing forms and puzzle forms. This blade bending machine through digital load can be used to manage the data and it can be reproduced easily. This model _steel rule bender cutter for continuously cutting steel rule with thickness of 0.9 mm or less. The blade bending machine can cutting from both sides is possible. < What does an Auto bending machine mean?